RPAC was founded in 1969 to give REALTORS® a voice in the political process. The PAC’s funds come from voluntary contributions from members. When a member gives to RPAC, their dollars combine with those from other REALTORS® to make up the nation’s largest Political Action Committee. 100% of a member’s contribution is used to elect pro-REALTOR® candidates, with 70% staying in New Hampshire to be used in local and state elections. 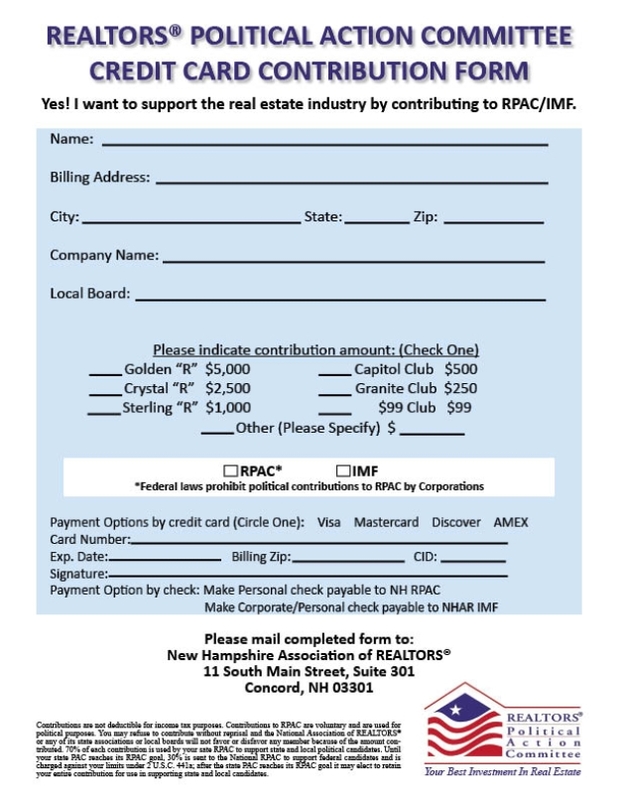 Click here to download a RPAC Pledge Form.